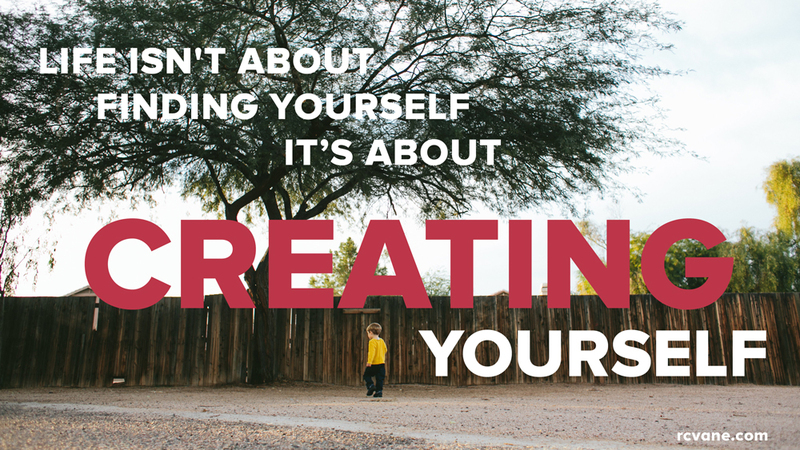 You create the business you want. Last week I was sick. And I mean really – can’t get out of bed, feeling utterly miserable, pounding head, overflowing stack of tissues – sick. I finally returned to work on Friday, because I couldn’t stand being away any longer. Taking that forced step back, I saw a bigger picture. I need my work. Like, really need it. I am the most “in life” when I’m creating something and/or figuring out how to do something. And that pretty much sums up my work. It’s not like I’ve found my dream career. Or the perfect job. Or now that I’m doing something that is awesome my life is a picturesque fairy tale. It’s like I’m using the things I’m naturally good at with a bunch of determination, perseverance and a whole lot of things I’ve learned. And I’m proud of the business I have created. In a life cluttered with myths of “Big breaks”, “Opportunities missed”, “Timing not being right”, “Talent being the key to success”, “Potential squandered”, “Everything works out” and “Go find yourself”, I have found much comfort in this quote. These myths can be so deep in us we’re not even aware they’re acting on us. It took me a while to understand I could actually make this stuff how I wanted it. And my clients actually appreciate that. 1. You have to believe you can. You have to believe it’s not all up to luck, timing, or an imaginary guy in the sky. This is a process. We’ve learned for so long that we can’t, the journey to believing we can is gradual and comes in increments. Once we’ve dealt with it on one level, it resurfaces later at a deeper level and we have to take ownership of it again, let it go, move forward… and repeat. 2. You have to have experienced enough to know living differently than you’ve seen and been taught is actually possible. When we’re young, we live one way, in one culture. There are unspoken norms and paths we expect our lives will take. Once we have travelled a little to see that other people live differently, grow up a bit to find out most paths we take are much different than we expected and we read books and articles to learn about what is happening or has happened in the world… we begin to develop a larger view of what is possible in life and ideas about what we can create for ourselves. 3. You can use what you’re good at and build upon that. The concert pianist was not born knowing how to play the piano. Born with a talent for tone and rhythm, the concert pianist learned how to play the piano and practiced, A LOT. And probably got rejected. More than once. At some point may have doubted the decision to devote so much life to learning and practicing the piano. Wondered if they could keep going, if it was worth it and maybe even took a part time job at Starbucks to pay the bills. The point is talent and natural skills are a jumping off point, not a final destination. You decide what to build. I once believed that if I was talented enough, I’d be an overnight success. I once believed being successful meant I would have no more problems. I once believed “successful” people were just luckier or smarter than me. I once believed I would one day get my big break and I would be famous, envied and rich (if I hadn’t already missed my opportunity). And to create the business I want – I have had to continually acknowledge, grieve, move on from these beliefs and see where they are holding me back. I help business owners visually communicate their message, so they can authentically connect with their people and take their businesses to the next level. Nice post, Rachel. I think the thing that has held me back isn’t necessarily a belief, but a habit: comparing myself to others (and finding myself not measuring up). You’ve covered that territory before, but it’s something I bump up against over and over. Thanks for sharing so much of yourself and your struggles with us. A common habit indeed, Jude! And one I intimately understand. Especially in this wide open online space, where we work solo, the habit of comparison can take a strong hold. Oh, you make me crazy every time you post a blog – get out of my head, lady! :)! Well, thanks for letting me peek around in there for blog ideas!